What is at the Bottom of the Baltic Sea? In Director Stanley Kubrick’s seminal ground breaking Science Fiction epic 2001: A Space Odyssey, that was filmed with the full co-operation of the American Space Programme- Dr. Haywood Floyd the Chairman of the National Council of Astronautics is called up to Clavius Base on the moon to investigate the discovery of a black Monolith uncovered on the moon’s surface. Interestingly enough the Object is dubbed the Tycho Magnetic Anomaly. On the base Floyd meets with Russian Scientists who are on an unrelated mission. When he enquired about one of the Scientist’s husbands she replies he is in the Baltic doing under sea research. In a bizarre twist of fate whereby art imitates life, imitates art on June 19 of 2011 2 Swiss divers from the Ocean X team discovered an as yet unidentified structure lying at the bottom of what is the murky floor of the Baltic Sea. 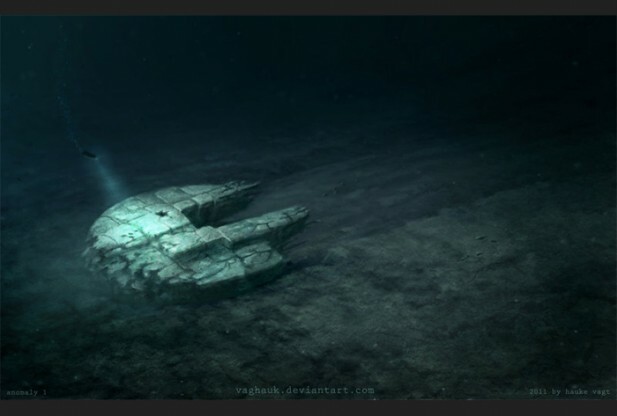 Dubbed the Baltic Sea Anomaly spokespersons from the Ocean X team, have described the formation as having an appearance of “rough granite”, roughly round in shape, 3 to 4 meters thick and approximately 60 meters in diameter. The structure stands on an 8 meter tall pillar-like feature, and is located at a depth of 85 to 90 meters. There is also another smaller object not far away. Members of the undersea exploration team, typically used to hunting for buried treasure did not know what to make of the object located underneath the icy waters between Finland and Sweden, and neither did anybody else. While ideas concerning what the object is vary from one expert to the next the most prominent of which being that of scientist Charles Paull of the Monterey Bay Aquarium Research institute believes it may be nothing more than a rock outcrop, while a former Swedish Naval Officer believes it may be a relic from W11, perhaps an anti- German U-boat device, or a downed Gun turret. But where’s the rest of the ship? The American media much to the detriment & lament of those who take this seriously are claiming it a replica of the Millenium falcon as it appears in the StarWars film. 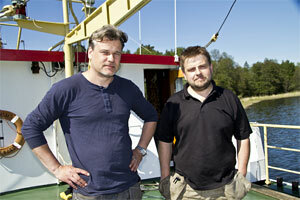 and their Swedish-based diving team, “Ocean X Team” have told the International Media. Lindberg a professional Undersea salvage diver with 20 years experience describes the Baltic Sea anomaly as a large 60 meter circular rock-like formation discovered at the bottom of the Baltic Sea. Lindberg explains how the object is giving off electrical interference that disrupts electrical gear. The object first appeared on Blueview & Multi Beam sonar equipment on board when the team decided to investigate. The object was described as having straight angles, 90 degree lines & walls sitting atop a smaller structure. dive discovered what appeared to be a loose circle of stones. When sophisticated remote-controlled rovers were sent to investigate the large object, the equipment, flawless any other time, began to malfunction. 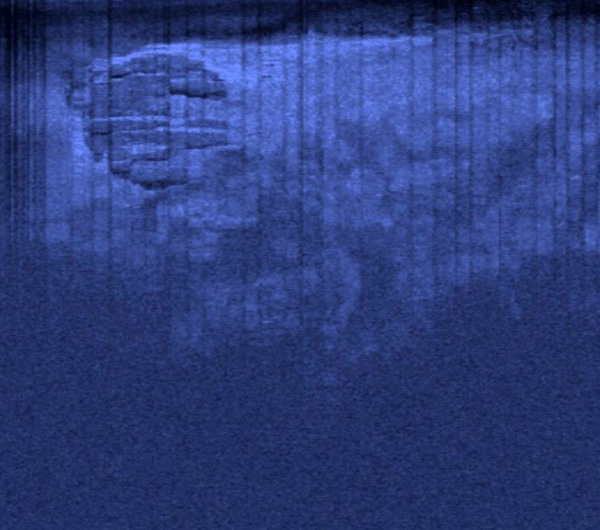 What appears on the sonar are these rectangular objects, & rectangular shaped walls that are part of the circular object. When divers were sent to investigate & collect samples, these proved to be 20 times higher radioactively than normal. This is not unusual in itself as due to the Chernobyl reactor Meltdown of 1986 neighboring Sea of Bothnia is one of the most radioactive in the world. Divers described a very large object with smooth surface & straight edges not normally found in nature. The Object looked like it had been constructed like out of poured concrete. The 197-foot-diameter circular object appears to be lifted up off the floor by a pillar, rising about 8 meters from the bottom. Interestingly there were black stones on the circular object free from silt unlike the others strewn about the site. From footage recovered by the remotely operated vehicles, a small hole 10 inches in diameter that appears to be venting something was discovered. Currently there is a third expedition to the site planned for the recovery of samples & the mapping of the sea bed with sophisticated radar. Concurrently, both American & Russian Naval exercises are being held in the region. Previous PostMan Plays HAARPNext PostWas Saturn Once Our Sun?